In 2016, Canstar has researched and rated 45 credit cards from 10 different providers, with American Express winning a five star rating for Outstanding Value for both their Air New Zealand card and their Platinum Edge card. We caught up with an Amex spokesperson to find out a bit more about how smart travellers can choose a card and maximise their points. Q: You offer a choice of outstanding value rewards cards. How can consumers work out which card is likely to suit their needs? 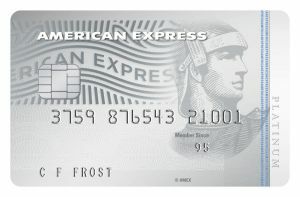 A: We make it easy to choose a card using the ‘compare cards’ function on our website www.americanexpress.co.nz. Amex provides a wide range of rewards options offering terrific value and flexibility. This includes the ability to earn Air New Zealand Airpoints dollars or Membership Rewards points. Card Members should think about what type of rewards they want to enjoy when selecting a Card – whether it’s all about earning Air New Zealand Airpoints or if they want a choice of reward options including, booking travel and paying with their points for any airline, transferring points to our 7 airline partner rewards programmes, choosing gift cards from their favourite stores or using their points to pay for purchases on the American Express app or shop at HarveyNorman.co.nz. It’s important to look at how quickly your card allows you to earn rewards, what those points are worth for the rewards you want to enjoy. Q: Whichever card it is, we all love to travel. Any tips for customers on ways they can maximise their Airpoints? Customers should use their card for their usual everyday spend such as groceries, petrol and utility bills, that way they maximise their rewards without needing to spend more than usual. American Express is accepted at all major supermarkets including Countdown, New World and Pak n’ Save, major petrol stations including BP, Mobil & Z and many large retailers such as The Warehouse or Bunnings and tens of thousands other stores. Another great way to earn even more rewards and Airpoints is to setup recurring payments for your phone bill with Spark, Vodafone or 2 degrees or pay your Sky TV bill or your utilities at wide range of providers. Q: The rewards market is very competitive. What type of review process do you go through to ensure that your offerings remain outstanding value? A: It’s important to us that we are continually delivering the best value to our Card Members. We regularly review our products, services and benefits, and compare our value with our competitors; we also ask customers for feedback to understand any unmet needs. American Express offers strong value and choice of Rewards, whether it’s our Membership Rewards Program or our Co-Brand Credit Cards, which offer Air New Zealand Airpoints Dollars™. 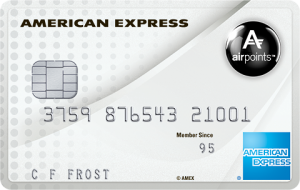 For example our Air New Zealand American Express Card offers great value with no annual Card fee and 1 Airpoints Dollar for every $100 you spend. We encourage anyone interested in earning Airpoints Dollars or who are currently collecting Airpoints on another Card to look at the amount of spend needed to earn Air New Zealand Airpoints Dollars and their annual fee. For the American Express Platinum Edge Credit Card we offer a complimentary direct domestic return flight and complimentary travel insurance as well as up to 3 points per $1 spent at major supermarkets. For example if your spend $250 per week on groceries with your Platinum Edge Card, you would earn 39,000 Membership Rewards points in one year, which is $292 you can use towards a holiday or flight with your points. We encourage customers to compare that with the rewards they’d earn on their supermarket spend on other cards. Credit Card – 3 points per $1 spent at major supermarkets, 2 points per $1 spent at major petrol stations, and 1 point for every dollar spent on all other purchases. This card has the best earn rate for a $0 annual fee Airpoints product that you can get, without any conditions to spend big to get your fee waived! Card members receive 1 Airpoints Dollar for every $100 spent so it’s delivering great value for no annual fee. Canstar congratulates American Express on its Outstanding Value win. 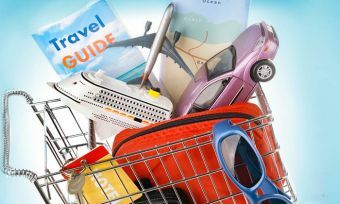 Here are some tips on taking your credit card overseas before you jet off – and you cancompare credit cards here.